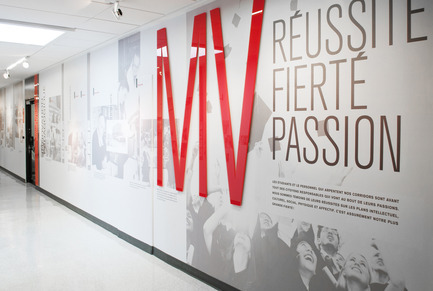 Cégep Marie-Victorin is a public institution in northeast Montreal offering a diversified range of programmes, several of them within the artistic field (Graphic Design, Interior Design and Visual Arts). 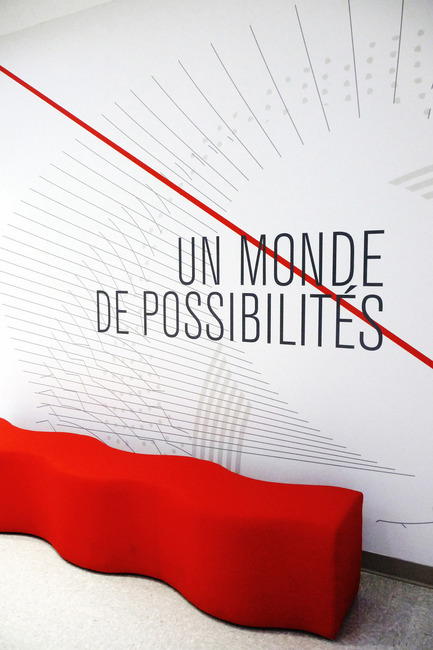 Since 2008, the institution has carried out a series of major renovation projects aimed at enhancing the learning and work environment. 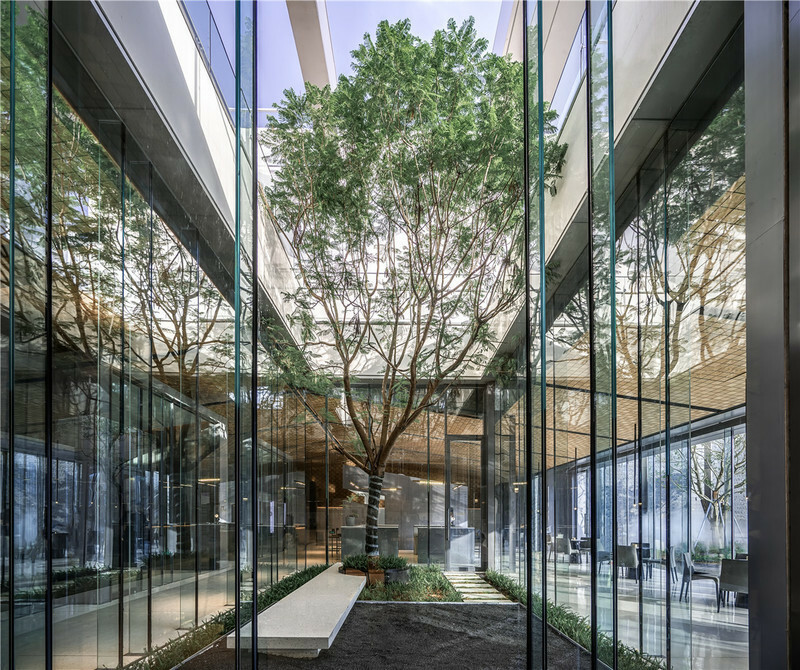 By combining seasoned professionals with creative students enrolled in its programmes, the college boldy drew from its own resources in order to create a modern, hospitable environment that reflects the institutional culture of innovation, creativity and approachability. 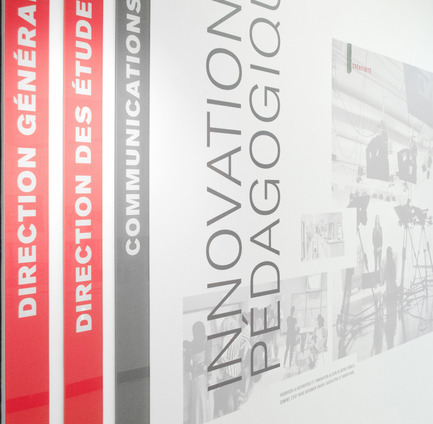 Creating a stimulating learning and living environment is an important priority at Cégep Marie-Victorin and the reason why it promotes projects, such as these, showcasing both the study programmes as well as the talent of its staff and students. 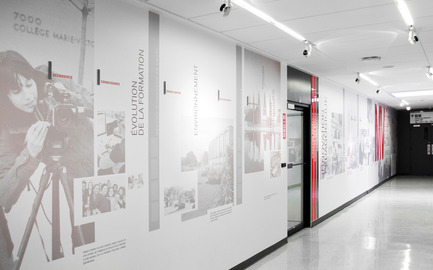 The three design projects completed during the 2015-2016 academic year built upon the artistic direction of the earlier renovation projects begun in 2008 and reinforced the college’s unique image. 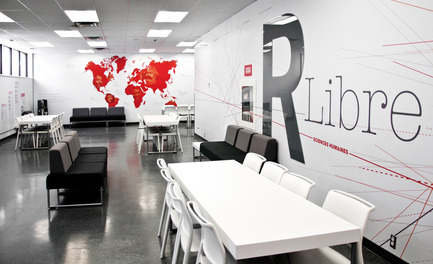 The purpose of the project was to create a space for humanities students that would be an original and inspiring conceptual background - a true extension of the classroom. 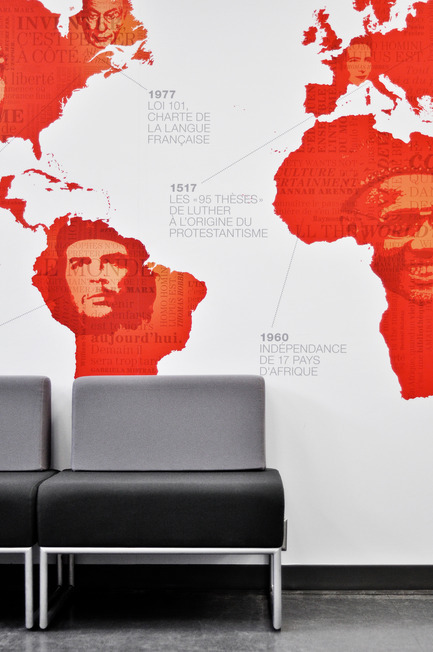 Right at the outset of their college journey, students are exposed to the humanities universe through visual images of noteworthy figures, famous works, quotes, defining events, and references to Québec’s popular culture within the global context - all on the lounge’s walls! 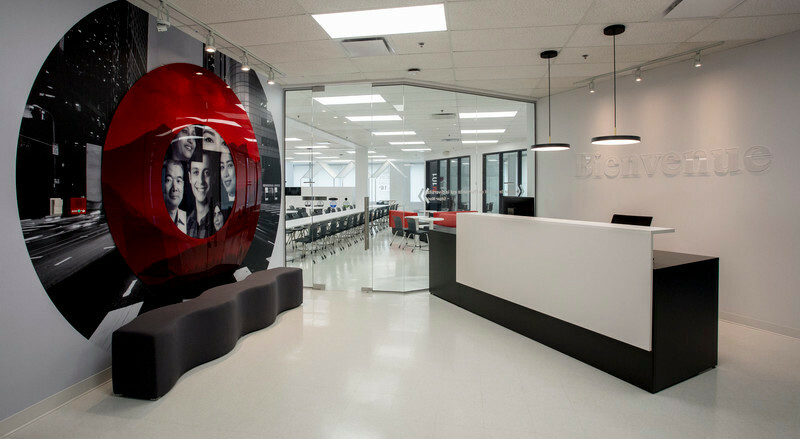 The goal of this project was to revitalize an older building in the Rosemont district that currently houses the college’s corporate services centre. 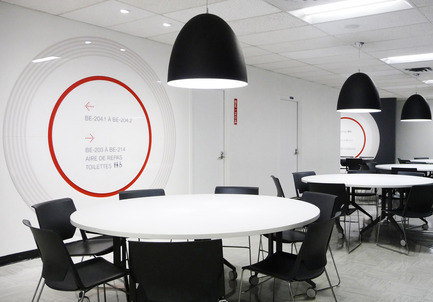 Circular shapes help express the perpetual, ongoing aspect of continuing education. 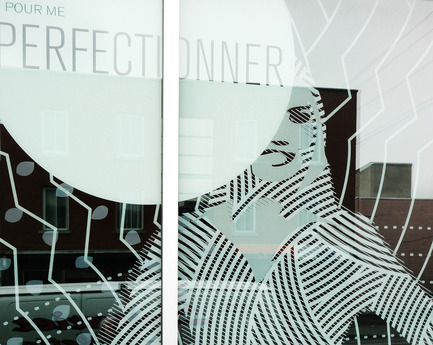 These are visible everywhere, shaping the spirit of the place. 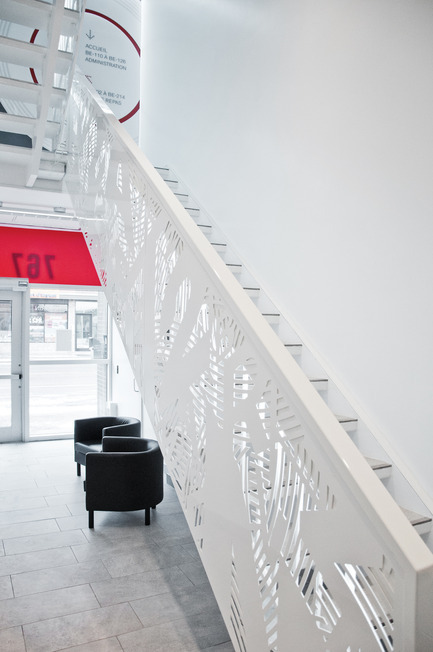 The typographic staircase, embellished by laser-cut aluminum panels, injects an innovative architectural element. 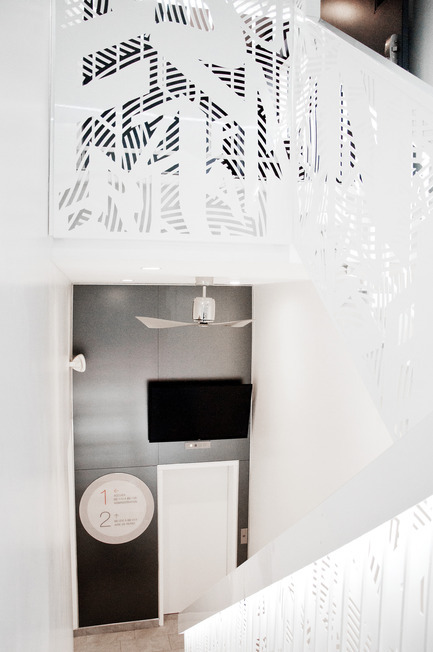 An arch motif with circles and letters was created to emphasize the educational purpose of the space. 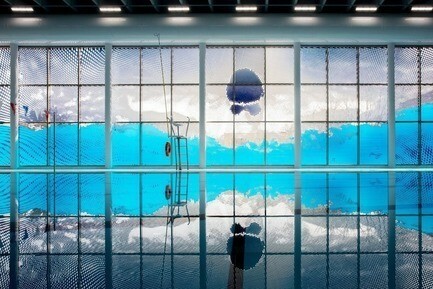 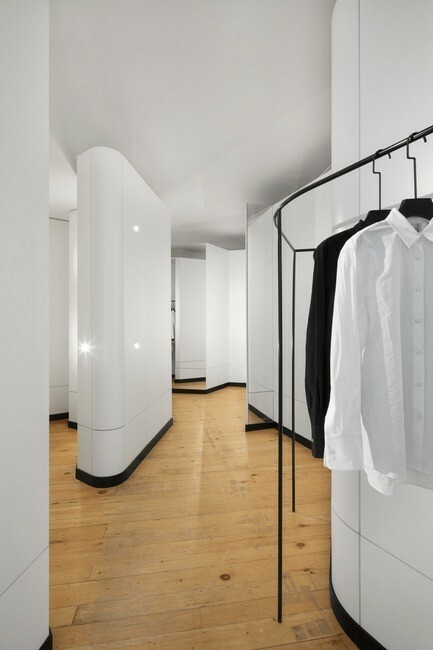 Integrated lighting was used to complement the approach. 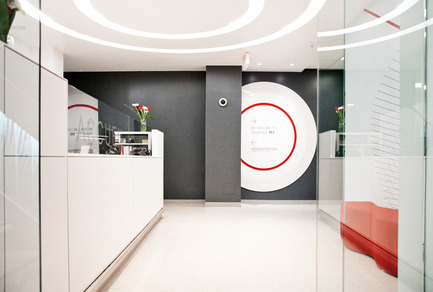 The large glass door and bold circular lighting in the reception area work to structure the space and give it a fresh and welcoming corporate identity. 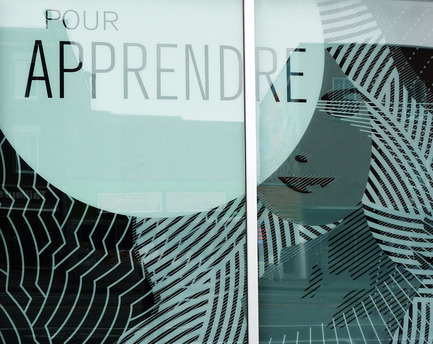 The visual display on the front windows reflects the centre’s educational mandate as well as the potential benefits to prospective clients. 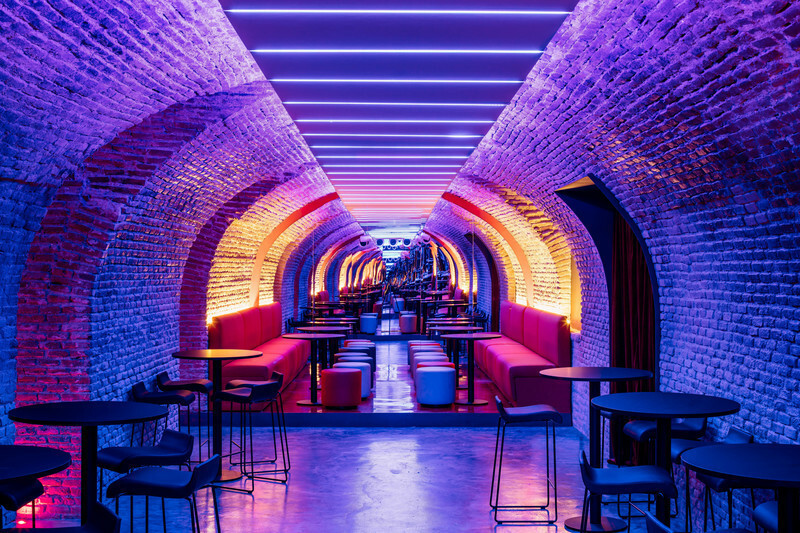 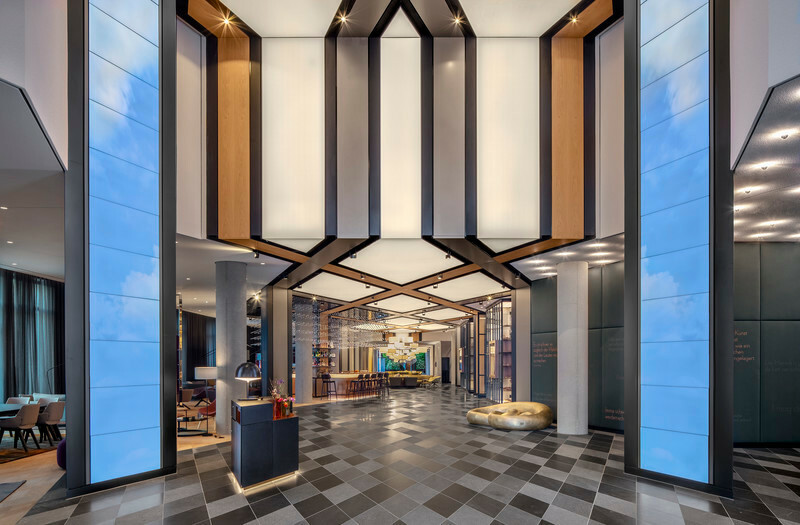 The purpose of this project was to turn a narrow passageway into an open book retelling the history of the college while focusing on the concepts of success, a shared mission and sense of belonging. 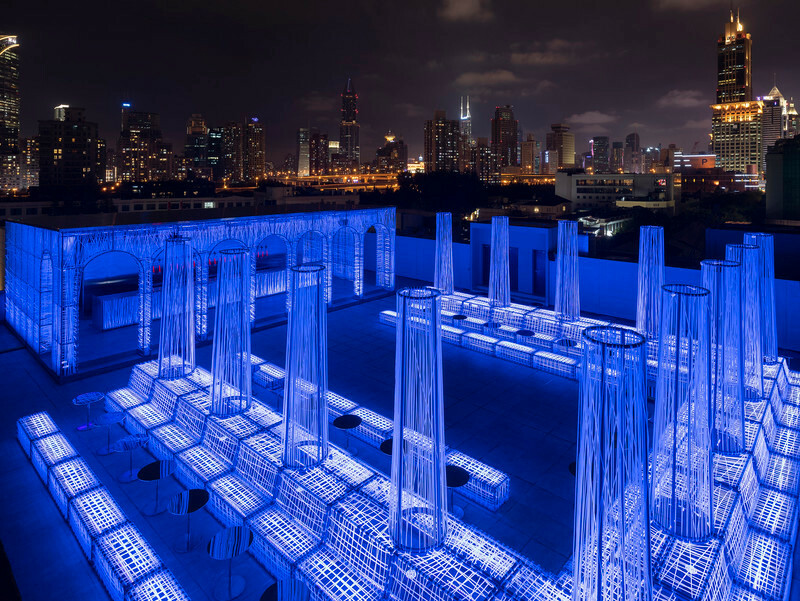 Passers-by will enjoy striking tableaus of juxtaposed, evocative imagery, illuminated by directional lighting. 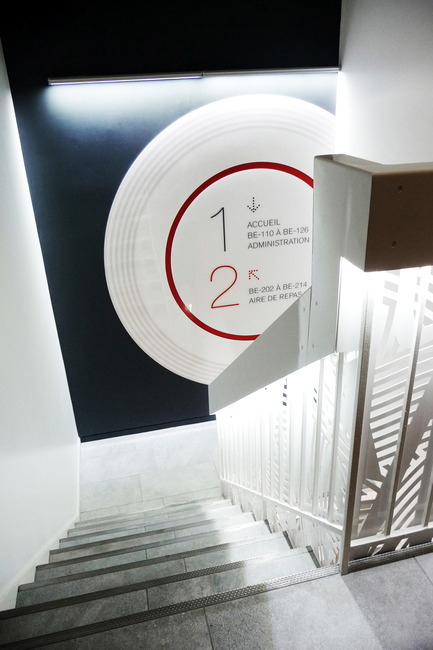 The subtlety of the design allows ample room for the images at body height, making them accessible and legible despite the narrowness of the hallway. 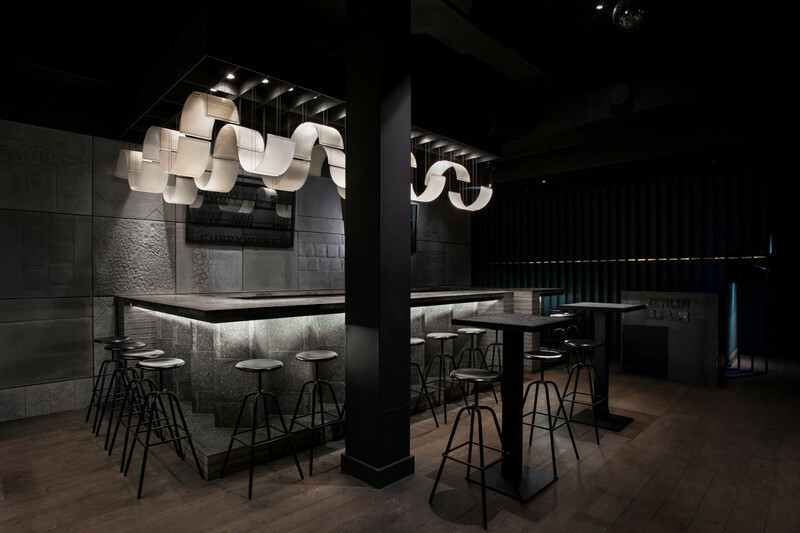 Concise text adds to the images in each section, while raised elements punctuate the space and enliven the overall design. 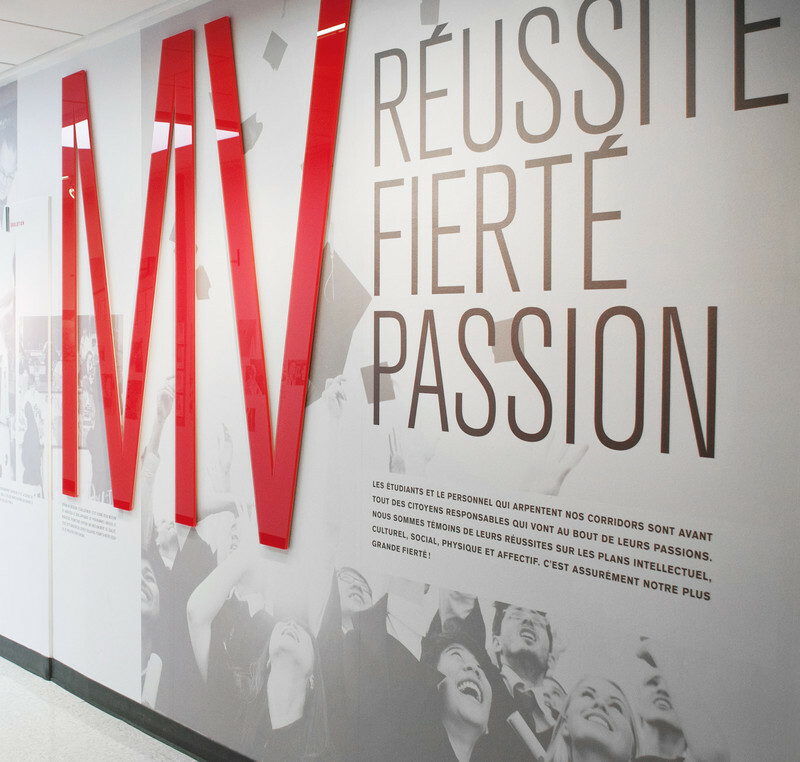 The combined skills of the interior design and graphic design professionals ensured that these projects perfectly reflected the values of Cégep Marie-Victorin. 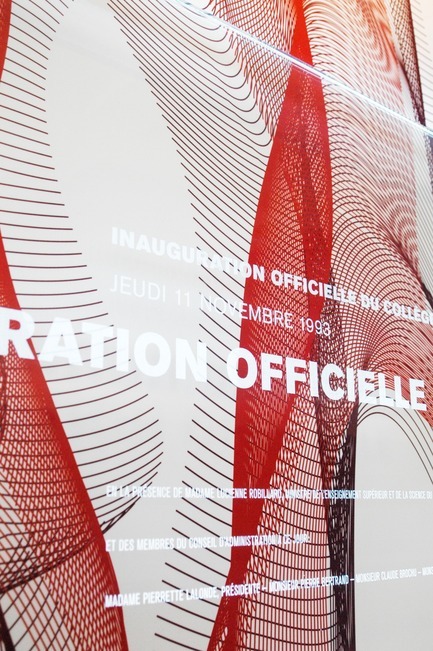 As members of the Cégep Marie-Victorin family, the designers’ involvement and dedication were evident throughout the projects, and a sense of pride shines through the end results. 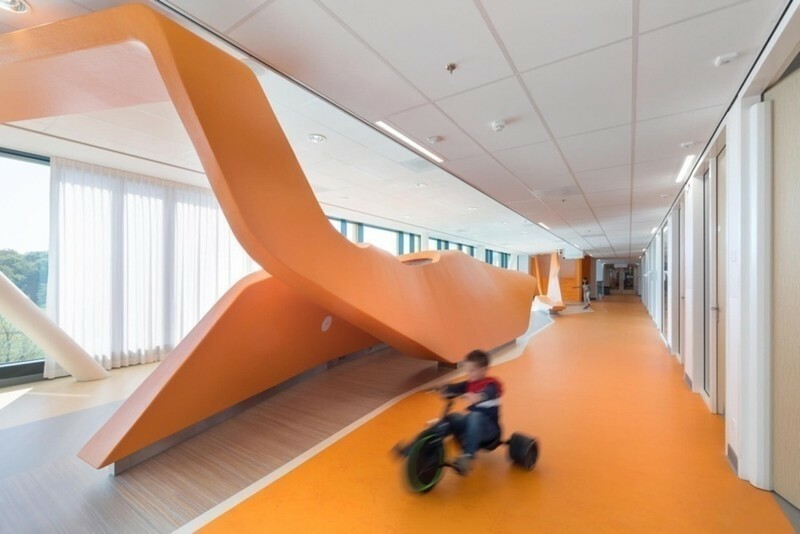 Moreover, the early involvement of staff and students from the various departments affected had an important influence on the design process – a process characterized by teamwork and the combining of strengths. 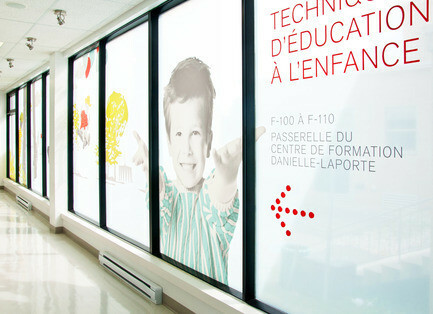 Lead project designers: Louise Gélinas, interior designer, and Christine Côté, graphic design professional and instructor at Cégep Marie-Victorin.